Connie Malamed's blog is one of my favorites. She writes thoughtful, well-researched articles on Instructional Design, using words like "cognition". She's also written a great book on Visual Design. If you're not reading The eLearning Coach yet, please add it right now to your list! I have to pipe in here...I totally agree! The eLearning Coach is on my top 3 favourite blogs list! (You too, Cammy! 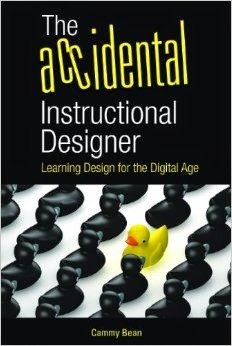 :))As I go down the self-taught (at least for now) road of instructional design, I'm learning so much from her. I'm reading her book (Visual Design) at the moment and finding it very helpful in explaining an area I know little about. I especially like it's focus on cognition. It's also gorgeous, nicely laid out!